Tom Hardy as Eddie Brock. One of the few parts of Eddie Brock’s character Sony decided not to fiddle with too much in its upcoming Venom solo film is his passion for journalism—something that ultimately brings him into contact with the alien symbiote that changes his life. 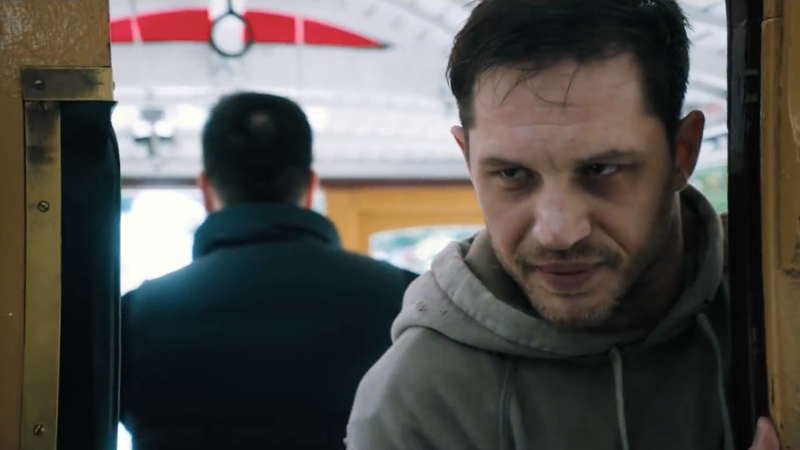 After months of questionable trailers and lascivious posters, Sony’s finally dropped the first clip—from a scene in the film featuring Tom Hardy’s Eddie Brock confronting Carlton Drake, the CEO of the Life Foundation portrayed by Riz Ahmed, about his organization’s alleged human experimentation. If you’ve seen Venom’s earlier trailers, you already know that the Life Foundation is responsible for introducing symbiotes to the world and in the clip, Eddie seems to have put two and two together. But when he clumsily tries to press Drake for information and answers, he’s shut down immediately. Look, we get it. Everybody investigative journalist out there just wants to uncover the truth, but Eddie’s technique here is just plain sloppy. He immediately tries to go in for the kill with an interviewee who clearly doesn’t have his defenses down and, one presumes, has enough media training not to just straight-up spill the fact that his company’s letting alien beings slither up inside unwitting test subjects. Suffice to say that when Venom hits theaters on October 4, it’s not going to be a comic book movie take on Spotlight. Could be a good horror movie though? We can hope.